Te Tai Whakaea Treaty Settlement Stories is a national project to collect, preserve and share the broad and multi-faceted history of Treaty settlements. Prime Minister Jacinda Ardern has formally launched a significant treaty settlement project which she says will keep "our stories" alive. Ardern launched Te Tai Whakaea Treaty Settlement Stories at Te Manuka Tutahi Marae in Whakatāne today. Te Tai is a national project to collect, preserve and share the broad and multi-faceted history of Treaty settlements. It will offer a digital platform for people to connect and engage with Treaty settlement history and include audio-visual oral history interviews, research articles, documentaries, multi-media web stories as well as a range of cross-curricular education resources in both English and Māori. It will also provide an education programme which will align with the New Zealand Curriculum. Prominent Māori leader Sir Hirini Moko Mead, Dr Monty Soutar and Te Runanga o Ngāti Awa chief executive Leonie Simpson have been instrumental in Te Tai. At the launch Ardern acknowledged the work they had done and said Te Tai would increase access to significant Treaty settlement stories. "The human stories contained in Te Tai are honest," Ardern said. "They will challenge beliefs of the Treaty. "These stories have been hard to tell and I acknowledge people here who have told their stories." She said youth needed to be involved if Aotearoa was to continue to move forward. "I know this resource will be powerful, it will educate and re-educate our people. "Now more than ever it is so important that we collect, preserve and share the history especially while many of the key figures involved in the treaty settlements are able to tell their story directly to us. "That is why Te Tai is such an important kaupapa." Ardern said the initiative was like a "collective memory providing enduring knowledge so that these stories, our stories, will never be forgotten". "With this wealth of history stories and information about Treaty settlements we are able to reflect on how we got here as a nation and then continue to grow together." She said it was appropriate the launch happened in the wharenui Mataatua which was returned to Ngāti Awa through the Treaty Settlement process. "Te Tiriti o Waitangi settlements are unique to Aotearoa New Zealand, and are recognised internationally as a model for addressing past injustices. They are also an essential step towards restoring pride and vitality to many communities and are helping to shape our modern identity as a nation." Moko Mead also spoke at the launch. "We, Ngāti Awa, are honoured to be the lead treaty in Te Tai. "Our story is the first to be told." He said what happened to each iwi and hapu after the Treaty of Waitangi was signed was different so not everything about each settlement could be told. Moko Mead spoke about the Ngāti Awa injustices suffered at the hands of the Crown and other iwi. "In 1980, when I started speaking up for Ngāti Awa, our funding came through Te Arawa. That is a sign of how far and how long the actions of the Crown impacted on Ngāti Awa. "Today we are gathered in this beautiful whare that was part of our settlement. The whare stands tall, there is hope and there is dignity in this whare." Moko Mead, Dr Monty Soutar and Te Runanga o Ngāti Awa chief executive Leonie Simpson have been instrumental in Te Tai. Judge Layne Harvey, of the Māori Land Court gave an account of Ngāti Awa's Treaty experiences and all the people the iwi has dealt with over the years. He said the iwi was building following the settlement process. Dr Monty Soutar, who is the senior Māori historian at the Ministry for Culture and Heritage, also spoke at the launch. "Through Te Tai we aim to better inform people about treaty settlements and their impact by connecting and engaging them with a diverse range of Treaty Settlement stories," Soutar said. "We began this process today with the first of the iwi stories, those of Ngāti Awa launched at Mataatua Te Mānuka Tūtahi marae in Whakatāne. "Te Tai is capturing first-hand the experiences of key figures involved in early Treaty settlements while they are still with us." Earlier in the day Ardern was gifted a landscape painting during her visit to the town's newly redeveloped museum, a nod back to her childhood days in Murupara and Galatea. Ardern took a walk through the state-of-the-art Museum and Research Centre which was officially opened last week. The redevelopment of the Whakatāne District Museum and Research Centre - Te Whare Taonga ō Taketake aims to address storage, climate control and access issues. It aims to create a community asset to enable the museum to care for, preserve and manage its collection. Ardern arrived at the museum this morning and was shown the museum's prized possessions. The museum's prized possession is an illuminated manuscript handwritten and hand painted in Latin. The Prime Minister asked how the museum came to be in possession of the book and was told it was donated. Ardern was told the person who donated the book was probably unaware of what they had. She was also shown a korowai that belonged to Rua Kenana, a Māori prophet, faith healer and land rights activist. Mayor Tony Bonne told Ardern they were honoured to have her. "This is your first official visit to Whakatāne, the last time you were here you were a list MP." 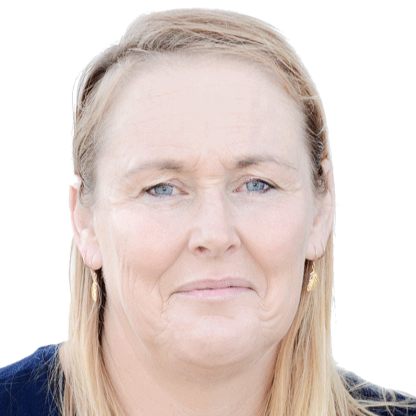 Bonne said Whakatāne-based Labour list MP Kiri Allan had been "outstanding" at bringing the Eastern Bay together. "I want to let you know she is doing a fantastic job." Prime Minister Jacinda Ardern at the newly-opened museum. Ardern was also presented with a landscape painting of the area to acknowledge her childhood days in Murupara and Galatea. Of the painting Ardern said: "I'm glad it was a landscape, I was worried it might have been a class photo."